Actually quite confused if this launching soon page is for an upcoming WordPress theme or for the launch of a new theme shop. Needless to say it’s clean! 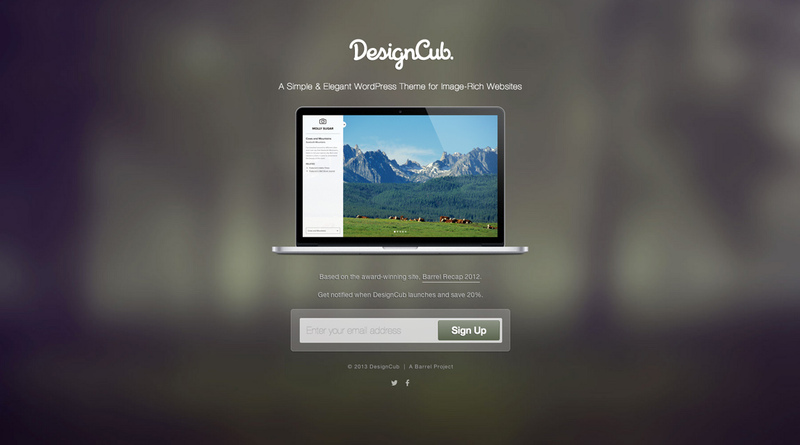 DesignCub Portfolio is a full-screen WordPress theme for image-rich websites. It's minimal, responsive, completely customizable, and it's launching soon! To tease our new theme release, we used Launch Effect (www.launcheffectapp.com) to build a simple coming-soon page.